U.S. Defense Secretary Chuck Hagel, when testifying about the Islamic State before a Senate panel Tuesday, indicated that the country’s border security needed improvement, adding that he is “always concerned” about the U.S. border with Mexico. Hagel’s comments came in response to Sen. John McCain (R-AZ) questioning him about the Islamic State potentially crossing the southern border and wage an attack on the U.S. homeland. Breitbart News confirmed that U.S. border authorities have been formally warned about the threat posed by the radical extremist group ISIS/ISIL. “I’m always concerned about the southern border,” responded the Pentagon chief. McCain then asked, “Do you think we have to improve our border security especially on the southern border?” “We can improve our border security,” answered Hagel. 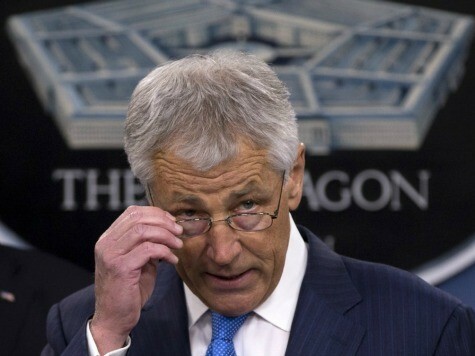 The defense secretary testified before the Senate Armed Services Committee. While ISIL clearly poses an immediate threat to American citizens in Iraq and our interests in the Middle East, we also know that thousands of foreign fighters – including Europeans and more than 100 Americans – have traveled to Syria. With passports that give them relative freedom of movement, these fighters can exploit ISIL’s safe haven to plan, coordinate, and carry out attacks against the United States and Europe. Although the intelligence community has not yet detected specific plotting against the U.S. homeland, ISIL has global aspirations and, as President Obama has made clear, ISIL’s leaders have threatened America and our allies. If left unchecked, ISIL will directly threaten our homeland and our allies. Moreover, the secretary noted that the extremist Islamic State has been skillfully luring fighters to their cause using technology and social media.